An adult Slaty-backed Gull was at Montrose Harbor this morning, January 30. I first noticed the bird sitting on the water at the west end of the harbor around 7:45. I had a hunch it was a Slaty-backed due to the large size, dark upperpart color, heavy head and neck streaking, and prominent white tertial crescent. When the bird flew I could see several additional clinching field marks, including the broad white trailing edge to the wing and “string of pearls” primary pattern. The bird settled down on the ice for the next 45 minutes or so and several people were able to see and photograph it. It seemed quite content but at 8:45 it got up and flew to the north and didn’t come back. This is the 340th species and 20th gull for Montrose. I had a few other things at Montrose this a.m., including an adult Thayer’s Gull in the harbor, 6 flyby White-winged Scoters, and the 2 continuing female type Ruddy Ducks in the lake south of the handicapped parking lot. Some kind of small fish are running in the harbor, which probably explains why there have been so many Herring and Ring-billed Gulls around, and why the Slaty-backed showed up. 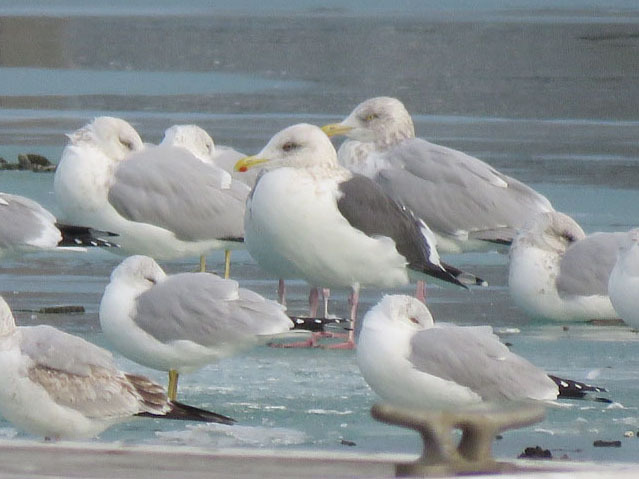 This entry was posted in Rare Birds, Winter Bird Reports and tagged Gulls, Slaty-backed Gull on January 30, 2016 by rhughes. 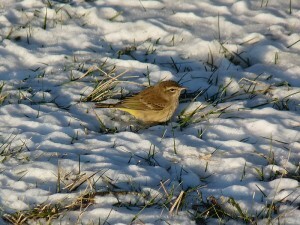 The Palm Warbler was still hanging on at Montrose this morning, January 2. I saw it in the pine grove just south of the handicapped parking lot. This bird should be (at least) a thousand miles south of Chicago. I saw nothing else of note this a.m. Winter is in full swing. 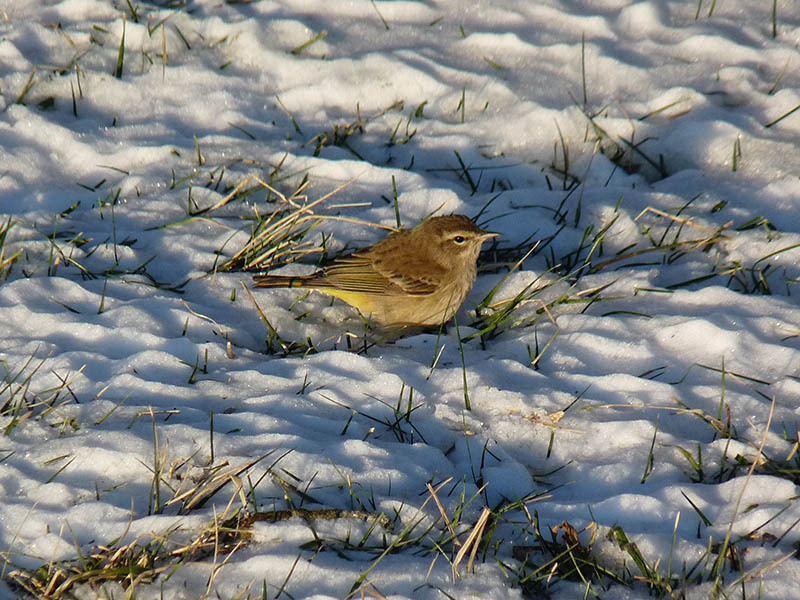 This entry was posted in Rare Birds, Winter Bird Reports and tagged Palm Warbler, Warblers on January 2, 2016 by rhughes.